Following the current frenzy of battle royale and FPS games, it doesn’t come as a surprise when a developer company decides to try out any of these video games genres. As it happens, Oh BiBi (the creators of Lol Kart game) came up with the visually stunning FRAG Pro Shooter, or simply FRAG, an action-packed game that manages to (so far) successfully mix the adrenaline-ridden and fast-paced matches of battle royale games, and the always seductive and fun FPS games. 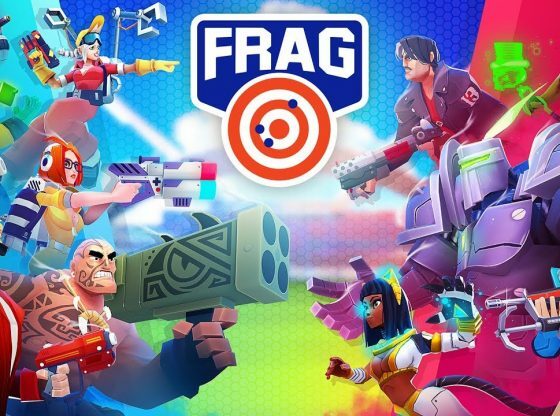 Widely compared with popular action, FPS games such as Overwatch, and Clash Royale due to its gameplay of tower defense and hero shooter aspects, FRAG Pro Shooter was launched this past June 28th , available only for iOS and Android devices. The core of the game consists in assembling a team of 5 mighty heroes whose purpose will be to defeat a rival team in intervals of 3 minutes or less. During the match, a team’s victory will not only rely on killing other characters. 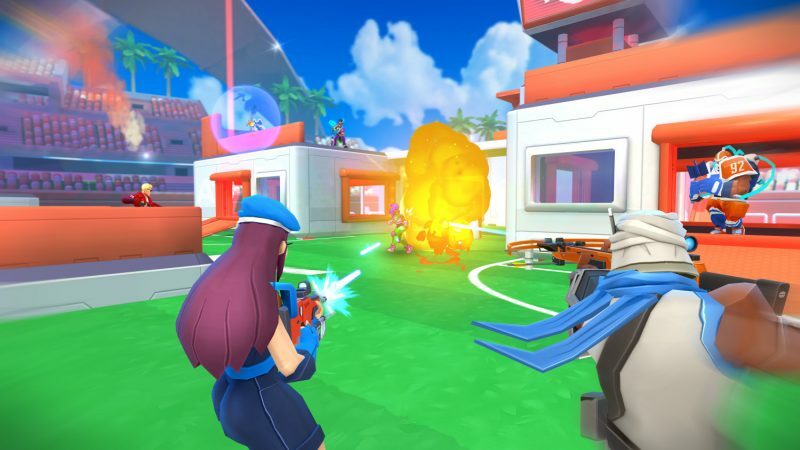 In addition, each team will have to simultaneously hold and defend a base of their own, while also try to destroy the rival’s. For this purpose, each base is provided with 3 shields, which must be kept active for as long as possible. Initially, as we mentioned, every player will have the chance to select his/her team of fighting heroes from a list of 40 unique characters, all of them different from each other, with their own special powers and skills. All characters also have their own background story and country of origin, making for a very diverse and entertaining selection. Characters are classified into two categories, according to their type (attack, defense, camp, center, wild), and availability (common, rare, and epic). Consequently, players can choose their battle deck (selection of champions) to fit one of three possible game styles: Offensive, defensive, or balanced; it’s really up to what style suits each person. Additionally, as victories accumulate, upgrades can be added to the characters to improve their skills, as well as unlocking more characters and arenas. “…the game is programed to automatically shoot every time you aim, making combat more about strategy than focusing on intricate key combinations to attack”. One of the most basic and essential dynamics of the game is the ability to switch from one champion to other, hence the reason for having a team of five. 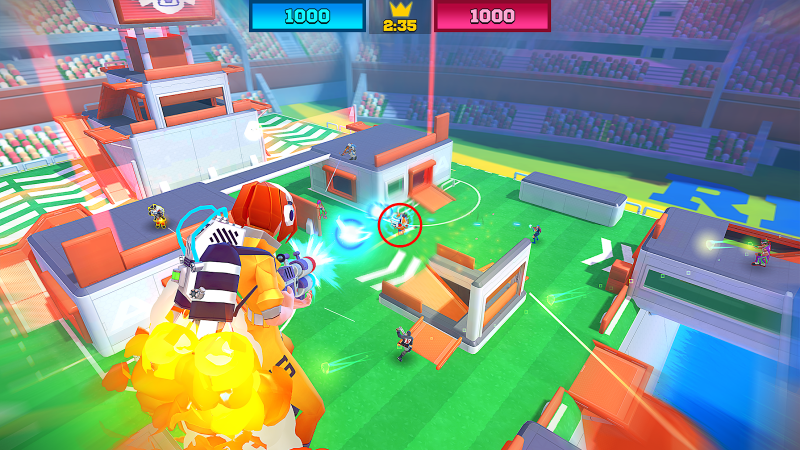 Each player will mold the match according to their own strategy, but the key is to maintain control of your base from different vantage points, while also trying to destroy your enemy’s base. Grasping the comings and goings of the game is pretty easy, since the game’s dynamic is straight- forward, at least offensive tactics-wise: There is a virtual joystick that will let you roam the entire arena, and with the help a map (also located on the screen) you can locate any member of the rival team. 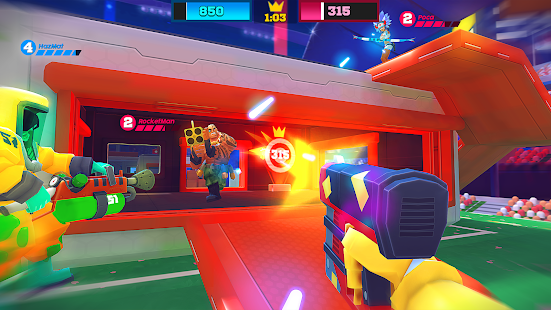 Moreover, the game is programed to automatically shoot every time you aim, making combat more about strategy than focusing on intricate key combinations to attack. As it is mentioned above, the duration of each match is very brief, not surpassing three minutes each; this in tandem gives the game a fast-paced and exciting mechanic that draws people to play match after match to try and outdo a rival, or even their own previous tactics and strategy. As the game is also played in real time, this just only adds even more to the allure. “…they decided to turn FRAG into a social experience where you can record and share your matches and deck of cards to the world”. Oh BiBi’s creators wanted FRAG to be more than simple, real-time 1v1 matches that pitted nameless players against each other without any real meaningful exchanges. Hence, they decided to turn FRAG into a social experience where you can record and share your matches and deck of cards to the world, as well as analyse other’s combat skills to learn and improve yours. If you are good enough, the chances of becoming popular increase exponentially. You can join clubs of FRAG peers, or create your own. As a whole, FRAG Pro Shooter started on an excellent foot, offering solid and entertaining gameplay without much improvements to make as of now. Its strongest suit is undoubtedly the aesthetics, which are fabulous, with smooth and fluent frame rates, and barely there lagging (if at all). The core mechanics and gameplay have garnered a positive response that hints of a potential success. 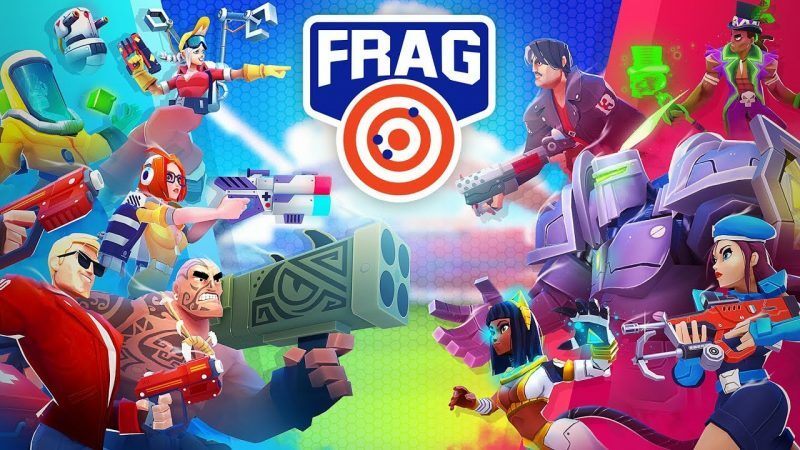 Let us hope that FRAG Pro Shooter keeps accumulating popularity and doesn’t stray from such a promising path.